This weekend we will have one trolley running the regular route – and another trolley making a circuit around downtown for the SouthSounds Music + Arts Festival. You are welcome to use either trolley – but the one on the Downtown-only circuit will be driven by Jerry and have “SouthSounds VIP Trolley” signs on it. Since we mentioned it, now in its fifth year SouthSounds has taken the place of the primary Spring Downtown Mobile arts festival. It’s aim is to get people Downtown for one weekend a year to explore and patronize its shops, galleries, and restaurants. It begins with the biggest LoDa Artwalk of the year on Friday night and continues Saturday and Sunday. On Friday night during ArtWalk and during the day Saturday and Sunday there is a free music stage along with artists’ booths in Cathedral Square. This year’s Friday night headliner on the free Cathedral Square Stage is New Orleans’ Maggie Koerner, who has shared the stage with the likes of Widespread Panic and Galactic. 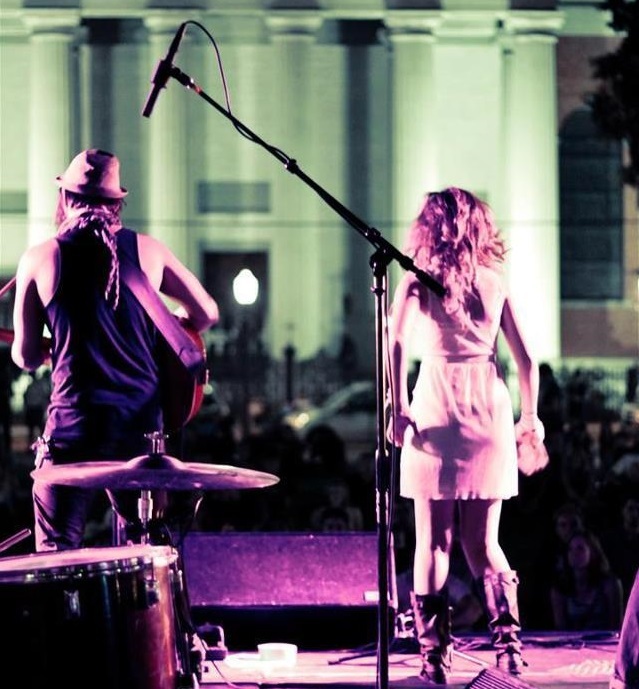 The musical acts are a wide variety of up and coming Southern musicians from New Orleans, Birmingham, Nashville, Atlanta, Athens, Charleston and elsewhere, some of whom have gone on to perform to national audiences such as Birmingham’s St. Paul & the Broken Bones. If you have not heard of some of the acts… that is the point. See them before they get too big to come to Mobile again. Among Southern “music people,” SouthSounds has already developed a regional reputation for presenting the best new Southern acts. At night, the music continues in private clubs and one $15 (presale) wristband will get you into all participating venues without paying a cover – Alchemy Tavern, The Blind Mule, Callaghan’s and Moe’s Original BBQ. VIP packages including hospitality areas stocked with Fairhope Brewing’s and Back 40 Brewing’s (Gadsden) brews along with other perks are also available. But if music is not your thing then you are encouraged to just stroll around and check out Downtown’s new businesses – such as the Dumbwaiter Restaurant. This is not a single event, but it is modeled along Austin’s South-by-Southwest (SXSW) where many Downtown artists, organizations, and businesses hold their own events. A South-by-Southeast, if you will. It is a weekend to explore and patronize Downtown Mobile. Full disclosure – two of OSTC’s principals are sponsors and one is a Co-Director – hence the lengthy explication. The free public stages and events are presented by the Mobile Arts Council and are funded solely by private 501(c)3 tax-deductible donations. For more information – schedule, lineup, tickets, etc. – see http://www.southsoundsfest.com. This entry was posted on April 5, 2015 by oldshelltrolleyclub.